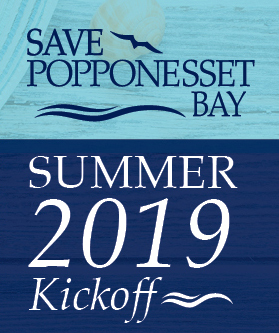 Since our founding in 1987, Save Popponesset Bay has worked to dredge sand to keep key navigation channels open, improve water quality and protect the Spit. However, changes in coastal erosion and sea level rise had outpaced our effort to build up the Spit and boating channels. Beginning in 2014, our board resolved to address this situation and we were able to get a grant from MA Coastal Zone Management to evaluate and design a “green infrastructure solution” to help reverse these trends. The Spit is more vulnerable now than ever before, and despite the nourishment, the spit is slowly disappearing. Additionally, the outer navigation channel typically shoals by July of each year. This reduces navigation and produces the need for maintenance during the height of the boating season when dredging isn’t possible. Stabilize the Spit as a barrier beach – To ensure the sustainability of the Spit, we are in the process of using both trucked and dredged sand to raise the level of the dunes to 10+ feet, widen the dune crest to 20 feet and widen the beach to 70 feet to protect the dunes from waves off Nantucket Sound. The dunes will also be stabilized with beach grass. 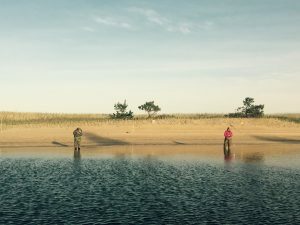 Restore endangered species habitat – To preserve the wildlife of the area, we will continue to partner with Mass Audubon and local conservation authorities to complete this project in a way that protects the birds and fish in the local ecosystem. We are run by volunteers from the local neighborhoods. Our on-going annual costs for permitting, engineering, dredging and distribution of the dredged sand on the Spit has generally averaged $70,000. 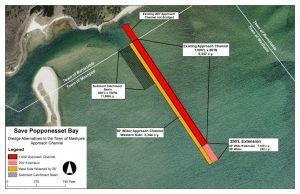 The Town of Mashpee and Barnstable County typically dredge approximately 5,000 cubic yards of sand each year at no charge to us. On a few occasions the town has also dredged the 1916 channel and deposited the sand on the spit at little or no cost. When there is a severe storm, SPB also pays for engineering work, trucked sand and earth moving to repair erosion. This amount is raised each year through an expanding network of approximately 300 local donors. The full cost to execute the SPB Plan will be $2+ million. To date, we have pledges/donation for $1.2 million including generous leadership pledges of $300,000 from one family, 100,000+ from three families and $50,000 each from three families. Please contribute before year-end to SPB, a 501c3. Once our Plan is we will return to a more moderate annual maintenance cost and still ensure the sustainability of the Spit and improved channels. 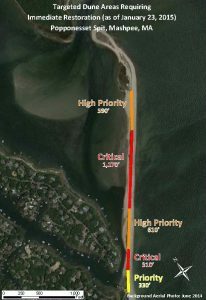 The wider beach and higher dunes will help the Spit withstand significant storms, protect the wildlife and preserve the bay ecosystem. The catch basin will keep the channels clear and provide additional sand for the expansion and long term maintenance of the Spit. Please join your neighbors to ensure the long-term sustainability of the Spit, the Bay and our boating channels. For more information, please call 781-729-1008.